Beauty is only skin deep- taking care of your skin is makes you feel and look beautiful. Forget vanity. This is about taking care of yourself. The way you look and feel in your own skin is important. Pampering yourself with a decadent facial mask is a fantastic way to feel and look your best. Face masks help to re-hydrate your skin, give pores a deep cleanse, and improve your complexion. 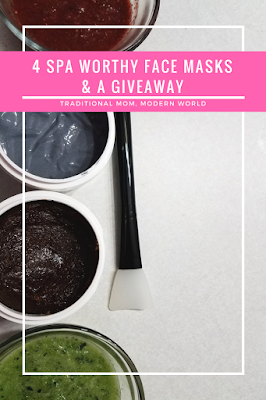 Thanks to these facial masks, you can give yourself the spa treatment without getting out of your pajamas! Charcoal everything is all the rage. From face masks to toothpaste, it's been praised for it's ability to remove impurities. You can even buy capsules filled with it for a digestive cleanse. Anyway, back to the skin. Charcoal purifies your face by pulling out impurities. Activated charcoal can absorb up to 200 times its weight in impurities. 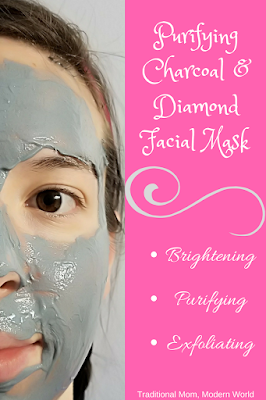 Aside from being amazingly glamorous, the diamond in this mask has very specific benefits. The jar states it helps to balance the skin. I'm assuming that means balancing the pH of the skin. Having the right pH level is essential to healthy, vibrant skin. Diamonds are tough. The only thing that can cut a diamond is another diamond. That's just how strong they are. Being so tough makes diamond powder a great exfoliate. Illustrious and radiant skin is another benefit claimed of diamond infused beauty products. Diamonds are beautiful, shiny objects it's only fitting they make us look more vibrant. It was a very long day and putting this mask on really lifted my spirits. The mask was very smooth and has a great consistency. The color is on the cadet blue side. It made me feel a bit like an alien (Andorian for my fellow Trekkies 😉). After 7 minutes, it was time to wash it off, and my face felt super clean and amazing. This mask is made by Masked Beauty Skincare. The tubs are easy to open and contain enough for several applications- or a fun little facial party with your friends! Masked Beauty Facial Masks are in stock at these stores: Albertsons, Safeway, Jewel, Hy-Vee, Marc's, Meijer, Weis and Kinney Drugs. Aside from being delicious, cucumbers have two very impressive properties that make them ideal for facial pampering- silica and antioxidants. Cucumbers also contain lots vitamin A. The silica and antioxidants help to reduce the appearance of freckles and dark spots, as well as, tightening pores. Say goodbye to the dark circles under your eyes! Aloe vera is well known for its gentle wound healing capabilities. Ever put cold aloe vera gel on a sunburn? Aloe is a great non-greasy moisturizer for dry skin. Auxin and gibberellin are two hormones found in aloe that are very beneficial to your skin. 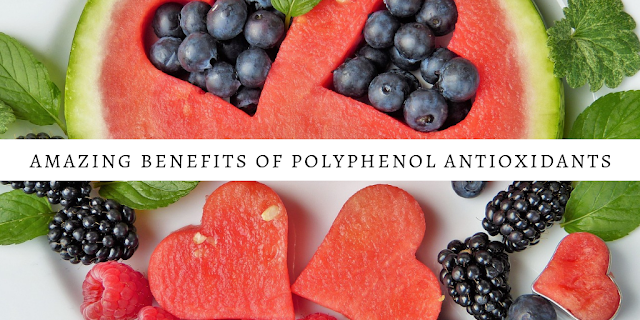 Both help to reduce inflammation and promote new cell growth. They speed up the wound healing process. Good news for winter-chapped cheeks. Spread the mask on your face and wait 30 minutes before rinsing it off. Who doesn't love coffee? The rich smell of a freshly brewed pot of coffee is pure joy. As well as being a great mood lifter and focus enhancer, coffee is very good for your skin. Softer and tighter skin can be yours with a little help from coffee. Coffee grounds are a bit course. This makes them a great ingredient for an exfoliating scrub and mask. I can't think of a better pair than coffee and chocolate, especially dark chocolate. Yum! It seems only fitting to combine this dynamic duo for rich and mood enhancing facial mask. Cocoa repairs skin and fight free radicals. Chocolate is packed with antioxidants. You'll get softer, smoother skin with cocoa. Just the smell of this facial was enough to put a smile on my face! The coffee grounds gave my face a gentle scrub. The mask went on like a dream- smooth and even. After the brief 10 minutes were up, it was a little difficult to wash off. I would suggest washing it off in the shower instead of the sink as I tried to do. When I finally did get it off, my face was silky smooth. Masked Beauty Skincare did a spectacular job with this facial mask. I can't get enough of it! Check it out -> HERE! Honey is a powerhouse of antibacterial properties. With its bacteria fighting goodness, honey fights off acne flare-ups keeping your face brilliant. When bacteria make their home in your pores, an infection forms. Killing the infection causing bacteria stops the breakout in its tracks. Strawberries contain 3 properties beneficial to skin- vitamin C, salicylic acid, and hydroxyl acid. They each help to brighten your complexion and tighten your skin. Vitamin C is an antioxidant. Antioxidants fight off free radicals. Free radicals steal electrons from cells causing them to slowly die off. (Never thought you'd use that chemistry class did you?) Vitamin C neutralizes the free radicals before they can cause any damage. Green tea has found its way into a myriad of facial moisturizers and face washes. It is great for closing pores and toning the skin. A cold tea soaked cotton ball makes a great natural toner. Combine 2-3 average sized strawberries, 1 Tablespoon of honey, and 1 Tablespoon of used green tea leaves in a blender. Make sure to blend until everything is as smooth as can be. Apply the mask to your face and relax for 15 minutes before washing it away. Putting on a face mask is messy business. (And if you make your own mask the mess is even bigger!) Picking up little facial mask globs and smearing them over your face, while hoping you get a fairly even coverage gets frustrating- fast. Let's face it, fingers don't match the contours of the face. Using the tool, the masks spread on smooth and even. Plus, it's super easy to clean. Simply rinse off the mask and dry. Can't get much easier than that! 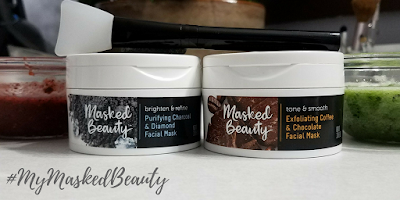 Masked Beauty Skincare provided two masks for me to try and a giveaway for all of you! In 2017, Masked Beauty was named the most Googled skin care trend. 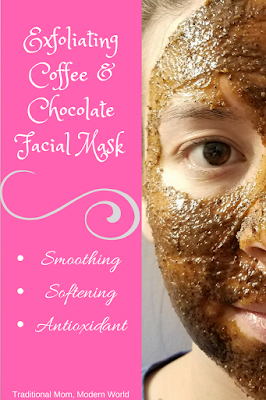 They make a variety of decadent facial masks such as the Purifying Charcoal & Diamond Facial Mask and the Exfoliating Coffee & Chocolate Facial Mask described in this post. All of their masks are make with REAL ingredients you can see and feel. DIY face masks are nice, but cleaning up the mess is not. Pampering myself with a facial is not as appealing if I have a big mess to clean up each time. There are enough dishes in the sink without me adding more. Using these pre-made masks was such a treat! Their masks can be found at Meijer here in Michigan as well as: Albertsons, Safeway, Jewel, Hy-Vee, Marc's, Weis and Kinney Drugs in other states. An Aloe face mask sounds so wonderful!!! I've never actually done a face mask (since like 5th grade when I think I used a St. Ives one?) so I need to get on this!! It was very refreshing! I remember coating my face with noxema and pretending it was an expensive facial :D good memories. They were really easy to do and worked amazingly well! Me too! It's hard to carve out time to myself and having these masks handy makes it much easier to get a little self care in now and then. I'll take the Andorian mask. :) But, really, I really lift to do this. It would be so nice at the end of a long day of momming. My favorite type of face mask is a peel mask. I love the way a mask makes my face feels afterwards. 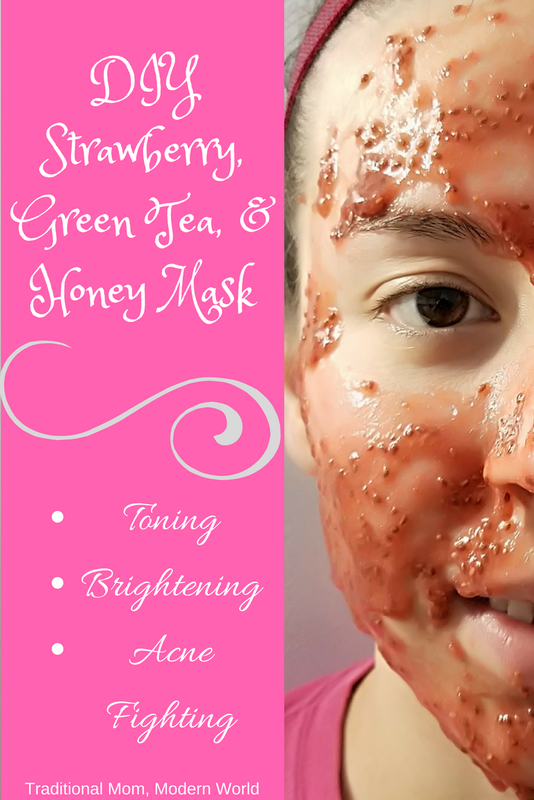 I have tried a few different honey masks and LOVED them! I haven't tried this combo though! Also, very interested in the coffee and cocoa mask! I always have some sitting around!!! Those look like great masks! Charcoal facemasks are my fave. Would trade activated charcoal over store bought masks any day. Charcoal mixed with a bit of honey and applied to the face works wonders. 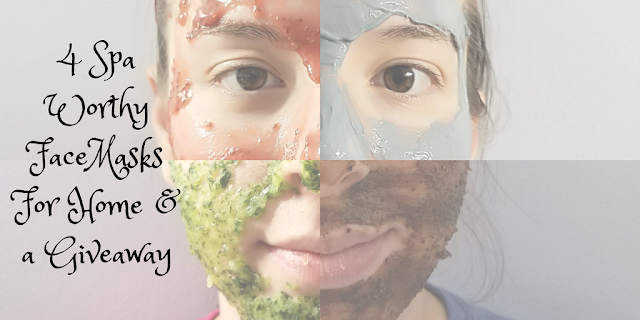 I love doing face masks at home, I try to do one about once a week and I love trying out new ones. Thanks for all of this great info! Did you have a favorite? They all look awesome! It really does feel great after a long day of momming! Have you tried a milk and gelatin facial peel? My face feels so smooth and clean after a facial. Your welcome and thanks for the honey and activated charcoal masks tip! I haven't tried that scrub yet, but it sounds delightful! 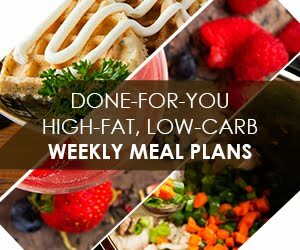 Thanks for the dyi recipes! I have tried charcoal in toothpaste but I've not tried it in my skincare! I might try it! This was so awesome! I'm so excited to try these out! Thanks so much for sharing! I absolutely adore charcoal masks. Didn't know about their capsules for digestive cleanses. I've made a few aloe and cucumber masks but I can't wait to try out some of the other DIY masks. I think I've used a facial mask about once in my life. I like how you laid everything out with pictures. I might have to give it a try! Very authentic and somehow surprising. Your writting is very intriguing as all informatiobs were written very well. Ill definitely try this.